Alvin Harvey Hansen (August 23, 1887 – June 6, 1975), often referred to as "the American Keynes," was a professor of economics at Harvard, a widely read author on current economic issues, and an influential advisor to the government who helped create the Council of Economic Advisors and the Social Security system. He is best known for introducing Keynesian economics in the United States in the 1930s. More effectively than anyone else, he explicated, extended, domesticated, and popularized the ideas embodied in Keynes' The General Theory. In 1967, Paul McCracken, chairman of the President's Council of Economic Advisers, saluted Hansen: "It is certainly a statement of fact that you have influenced the nation's thinking about economic policy more profoundly than any other economist in this century." Hansen was born in Viborg, South Dakota on August 23, 1887, the son of Niels Hansen, a farmer, and Marie Bergitta Nielsen. Graduating from the nearby Yankton College in 1910 with a major in English, he enrolled in the University of Wisconsin-Madison in 1913 to study economics under Richard Ely and John R. Commons, from whom he learned to use economics to address pressing social problems. Upon completion of the coursework for the PhD in 1916. Hansen married Mabel Lewis: they had two children. He taught at Brown University while writing his doctoral dissertation, "Cycles of Prosperity and Depression". Upon completion of the dissertation in 1918 (published in 1921), he moved back west to the University of Minnesota in 1919, where he rose quickly through the ranks of a full teacher in 1923. Subsequently, his Business Cycle Theory (1927) and his introductory text Principle of Economics (1928, with Frederic Garver) brought him to the attention of the wider economics profession. His Economic Stabilization in an Unbalanced World (1932), written with the help of a Guggenheim grant that funded travel in Europe during 1928-1929, established Hansen in the broader circle of public affairs. He was elected as a Fellow of the American Statistical Association in 1932. In 1937 he received an invitation to occupy the new Lucius N. Littauer Chair of political Economy at Harvard University. His first book at Harvard posed the question Full Recovery or Stagnation? (1938) sketched the outlines of what came to be called the "secular stagnation thesis". Later, his America's Role in the World Economy (1945) and Economic Policy and Full Employment (1947) made this case to a wider public. Hansen was appointment as special economic adviser to Marriner Eccles at the Federal Reserve Board in 1940 and he was in charge until 1945. After retiring from active teaching in 1956, he wrote The American Economy (1957), Economic Issues of the 1960's and Problems (1964), and The Dollar and the International Monetary System (1965). He died in Alexandria, Virginia on June 6 of 1975 at the age of 87 years. His most outstanding contribution to economic theory was the joint development, with John Hicks, of the so-called IS–LM Model, also known as Hicks–Hansen synthesis. The diagram shows the relationship between investment savings (IS) and money supply (LM) and is used to illustrate how monetary and fiscal policy can influence GDP. Hansen's book of 1938, Full Recovery or Stagnation based in Keynes's General Theory has the thesis of stagnant growth and employment if there is no economic state intervention to stimulate demand. Hansen presented evidence on several occasions before Congress to oppose the use of unemployment as the main means of fighting inflation. He advocated instead that inflation could be controlled by changes in interest and tax rates for the money supply as well as controls on prices and wages. Lately, theories of economic stagnation have become more associated with Hansen's ideas with those of Keynes. Hansen's review of John Maynard Keynes's The General Theory of Employment, Interest and Money was skeptical, but by December 1938, in his presidential address to the American Economic Association, he embraced Keynesian theories of the need for government intervention in periods of economic recession. Soon after his arrival at Harvard in 1937, Hansen's famous graduate seminar on fiscal policy began inspiring graduate students such as Paul Samuelson and James Tobin (both of whom would go on to win the Nobel Prize) to further develop and popularize Keynesian economics. Hansen's 1941 book, Fiscal Policy and Business Cycles, was the first major work in the United States to entirely support Keynes's analysis of the causes of the Great Depression. Hansen used that analysis to argue for Keynesian deficit spending. Hansen's best known contribution to economics was his and John Hicks' development of the IS-LM model, also known as the Hicks–Hansen synthesis. The framework graphically represents investment-savings (IS) and the liquidity-money supply (LM), and can be used to illustrate how fiscal and monetary policies can be employed to alter national income. Hansen's 1938 book, Full Recovery or Stagnation, was based on Keynesian ideas and was an extended argument that there would be long-term employment stagnation without government demand-side intervention. Ultimately, economic stagnation theories became more associated with Hansen than with Keynes. Paul Samuelson was Hansen's most famous student. Samuelson credited Hansen's Full Recovery or Stagnation? (1938) as the main inspiration for his famous multiplier-accelerator model of 1939. Leeson (1997) shows that while Hansen and Sumner Slichter continued to be regarded as leading exponents of Keynesian economics, their gradual abandonment of a commitment to price stability contributed to the development of a Keynesianism that conflicted with positions of Keynes himself. In the late 1930s, Hansen argued that "secular stagnation" had set in so the American economy would never grow rapidly again because all the growth ingredients had played out, including technological innovation and population growth. The only solution, he argued, was constant, large-scale deficit spending by the federal government. The thesis was highly controversial, as critics, such as George Terborgh, attacked Hansen as a pessimist and defeatist. Hansen replied that secular stagnation was just another name for Keynes's underemployment equilibrium. However, the sustained economic growth beginning in 1940 undercut Hansen's predictions and his stagnation model was forgotten. One of the most important contribution to the economic theory by Alvin Hansen are the economic cycles. In his book Business Cycles and National Income, he defines the cycle as a fluctuation in: employment, output, and prices. 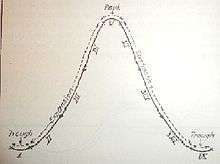 The cycle is divided in two phases: expansion extending from trough to peak, and contraction, extending from peak to trough. For Hansen exist stable and unstable economic cycles. The instability is caused by displacement due to external shocks. Considers the business cycle analysis has to consider the technical progress, the money market and the expectations or expected value. The Great Depression, which spelled disaster for so many, signified opportunity for Hansen. His training had prepared him for the task of applying economics to social problems, and his new-found prominence provided a platform from which to promote the solutions that seemed to him most promising. trusting at first in the historic dynamism of the American economy to bring recovery, he favored ameliorative programs such as unemployment insurance and the new Social Security program. He did not support the price fixing of the National Recovery Act. Hansen argued that the depression was not going through a particularly severe business cycle but through a symptom of the exhaustion of a longer-term progressive dynamic. What Hansen had in mind was not just counter-cyclical public spending to stabilize employment but rather major projects such as rural electrification, slum clearance, and natural resource development conservation, all with a view of opening up new investment opportunities for the private sector and so, restoring the economic dynamism needed to the system as a whole. Hansen excelled at both scholarly works and popular expositions that helped people understand economic cycles and deficit spending. He trained and influenced hundreds of students, many of whom later held important government posts, and he served on numerous governmental committees dealing with economic issues. The American Economic Association awarded him its Walker Medal in 1967. Hansen frequently testified before Congress. He advocated against using unemployment to control inflation. He thought that price inflation could be managed by timely changes in tax rates and money supply (Functional finance), and by effective wage and price controls. He also advocated fiscal and other stimulus to ward off the stagnation that he thought was endemic to mature industrialized economies. During the Roosevelt and Truman presidencies, Hansen was influential in shaping policy. He served on government commissions and as consultant to the Federal Reserve Board, the United States Department of the Treasury and the National Resources Planning Board. In 1935, he helped create the US Social Security System and, in 1946, he assisted in the drafting of the Full Employment Act, which, among other things, created the Council of Economic Advisors. Between 1939 and 1945, he served as co-rapporteur to the economic and financial group of the Council on Foreign Relations' War and Peace Studies project, along with Chicago economist Jacob Viner. Hansen's advocacy (with Luther Gulick) during World War II of Keynesian policies to promote post-war full employment helped persuade Keynes to help develop plans for the international economy that emphasized free trade. Hansen's 1953 book, A Guide To Keynes, (like Samuelson's textbook Economics) promoted Keynesian economics in America and in many other countries after World War II. ↑ American National Biography. New York: Oxford UP, 1999. Print. ↑ Hansen, Alvin H. Monetary Theory and Fiscal Policy. New York: McGraw-Hill Book, 1949. Print. ↑ Hansen, Alvin H. Business Cycles and National Income. London: Allen and Unwin, 1964. Print. ↑ Donald Markwell, John Maynard Keynes and International Relations: Economic Paths to War and Peace, Oxford University Press, 2006. Hansen, Alvin H. Business Cycles and National Income. London: Allen and Unwin, 1964. Print. Hansen, Alvin H. A Guide to Keynes. New York: McGraw-Hill Book, 1953. Print. Hansen, Alvin H. Monetary Theory and Fiscal Policy. New York: McGraw-Hill Book, 1949. Print. American National Biography. New York: Oxford UP, 1999. Print. Quarterly Journal of Economics vol 90 # 1 (1976) pp. 1–37, online at JSTOR and/or in most college libraries.